The goal was to develop a small capacity, small floor space, low cost tank, to store used oil and grease in restaurants for removal. The commercial objective was to deploy this new tank in a larger number of locations, to optimize pick-up logistics, to increase the amount of used food grade grease collected and to increase the company revenues in this market segment. In this multidisciplinary project, Parallaxe team proposed innovative solutions to meet the Client’s objectives. 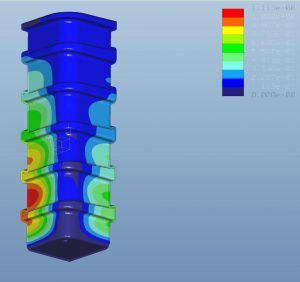 Our industrial design and mechanical engineering team worked on the design of a plastic tank for its fabrication by the rotomolding process and completed the resistance calculations for the oil static load. A pumping system, adapted for this application, was also identified. Parallaxe electronic design team proposed a non-mechanical solution to read the oil level using a remote sensor technology. 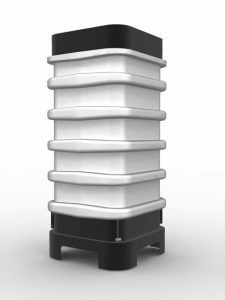 This innovative solution doesn’t use traditional mechanical level measuring systems which are complex and unreliable in the presence of grease fume. Also, to prevent oil stealing, Parallaxe proposed to use a wireless communication protocol to unlock a tank access valve. This solution eliminate the need of using locking mechanical devices on the access pipe, outside of the building, which are complex, expensive and unreliable. This technology allows the collection truck driver to unlock the tank access with his portable mobile computer without having to access the building, interacting with the personnel or interrupting the normal operations to complete the tank pumping. 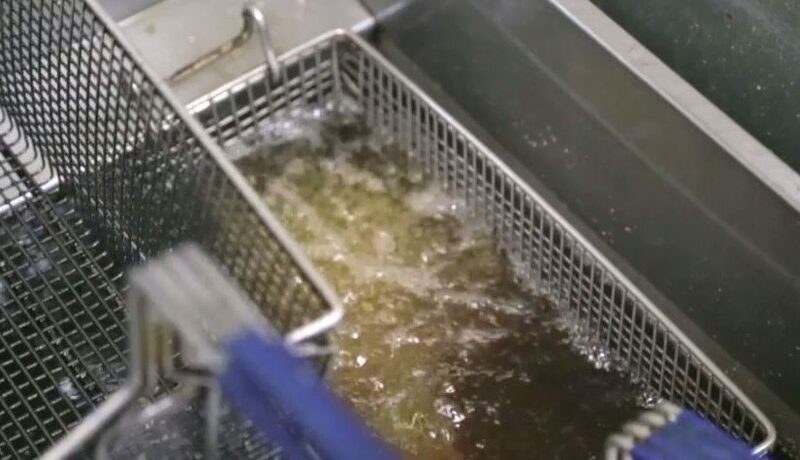 This technology, which can also remotely transmit to the driver the amount of grease collected, allows the company to manage inventories precisely and in real time.